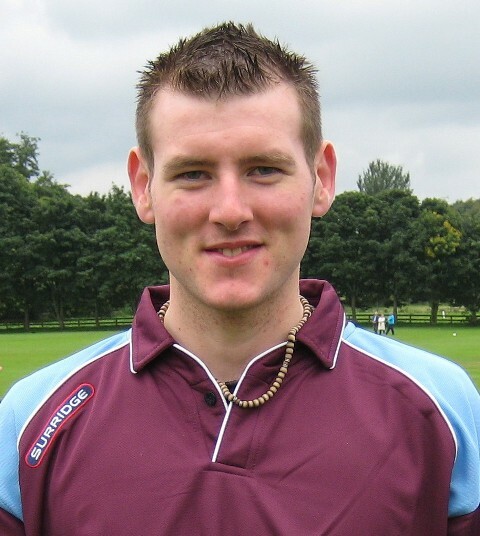 Dumfries 1st XI player Alan Davidson notched up his first Australian fifty for 2009 at the weekend by scoring 68 for Wallsend in their Newcastle District second grade match on Saturday. Meanwhile Dumfries Cricket Club have drawn another away tie in the 2009 Scottish Cup. However with the first round split into West and East regions to reduce travelling they will play fellow National League Second Division side Prestwick. The match is on Sunday June 21st but APD Dumfries will get a chance to size up their opposition since they also play Prestwick at home in the league the day before. However Dumfries have been given a home National 20/20 cup tie with a game against St Boswells at a date yet to be arranged. As semi-finalists last year they will be aiming to repeat a trip to the Final’s day in Glasgow. Their 2009 National League campaign starts on Saturday May 2nd with a home game at Nunholm against Weirs. The Dumfries second eleven, JMS Nunholm, have also discovered their league opponents (shown below) after the make-up for Western Union Division 2 was resolved this week. Further information about the club can be found at www.dumfriescricketclub.co.uk . West region: Renfrew v Drumpellier; Poloc v Clydesdale; Ayr v Kelburne; Ferguslie v Stenhousemuir; Prestwick v Dumfries; Uddingston v Weirs; Stirling v Greenock; West Lothian v West of Scotland. East region: Aberdeenshire v Grange; Penicuik v Forfarshire; Dunfermline v Freuchie; Corstorphine v Arbroath; Falkland v Heriot’s; Edinburgh Accies v SMRH; Edinburgh CC v Stoneywood-Dyce; Watsonians v Carlton.